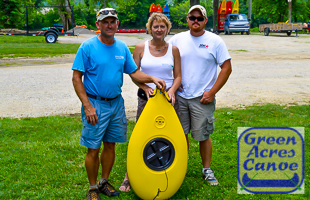 The July Outfitter of the month is Green Acres Canoe and Kayak. This family owned business out of Harrison, OH (near Cincinnati, OH) has been in business since 1998. Dave “The King of Canoes” Lutz, his wife Sharon, and son Steve head up the operation. They really enjoy what they do, and love to help people enjoy nature on the river. Dave told us that he thinks the Kayak Kaddy is a great idea, and that a lot of his customers are always asking for more storage on the water. We actually got into the paddling industry quite unexpectedly. We had started Green Acres as a golf driving range & mini-golf in 1998. Just a couple of years after opening, our local economy began to suffer which affected the golf industry immensely. With having to support a young family, we began to search for different ways to make a living without leaving the farm where we operate our business. We took a look at our resources, hence the Whitewater River, and decided to take a leap into renting boats. In just a few years, the boat rentals took off and now the driving range is a canoe rental parking lot! The most gratifying is being able to work alongside our children, all three of them are involved and will one day take over the business. Providing entertainment and employment for so many people is also very rewarding. David is from Bright, Indiana and Sharon was raised on the farm of Green Acres’ location on Suspension Bridge Road as a 4th generation to conduct a recreational business from this location. How do you see the business benefiting from the Kayak Kaddy? 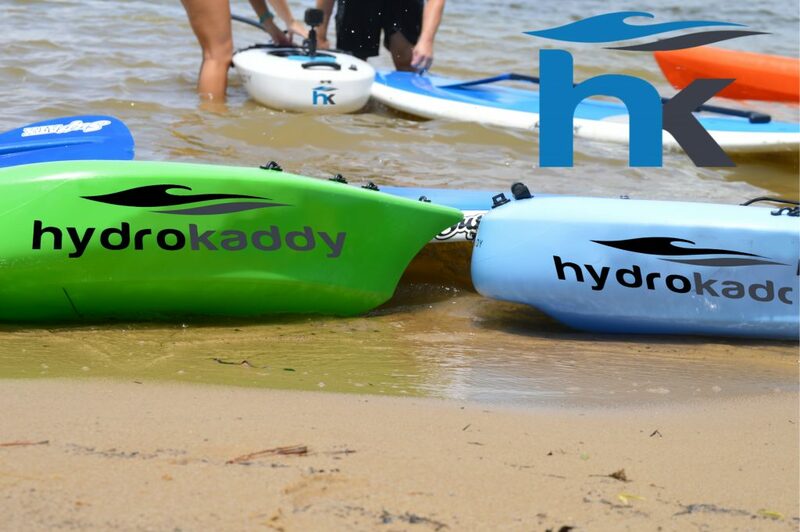 With many kayaks not having ample storage space, the kayak kaddy seems to be an ingenious solution for folks that wish to kayak with more supplies. This entry was posted on Wednesday, July 9th, 2014 at 3:37 pm	and is filed under Outfitters. You can follow any responses to this entry through the RSS 2.0 feed. Both comments and pings are currently closed.